Amazingly simple to play - Unbelievably hard to put down! One of the rare games that you can play all day 'just one more go' at a time. 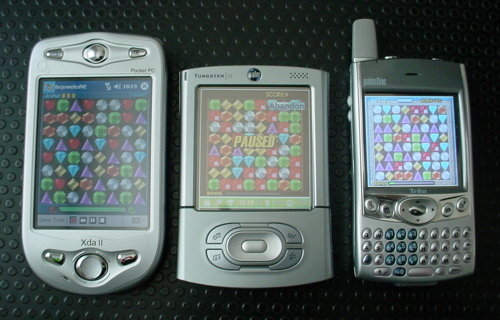 I stumbled over Bejeweled for Palm via newsgroups. Little time later the first complained you could not get more than ~320.000 points. Developers told us, that they never expected people to play that long. Why is my palm version still shareware and not registered? Why do I wait each time longer for the game to start? Pure selfdefense so I can't play that much bejeweled. Here you will find another online version of Bejeweled called Newtons Nightmare. here you can find another online version!